As news spread of the dangerous GranuFlo and NaturaLyte products being used in kidney dialysis facilities across the country, our Boston dialysis lawyers wanted to know how our local dialysis centers are rated when it comes to things like cleanliness, mortality, hospitalizations and infections. Turns out, there is a troubling amount of room for improvement. News organization ProPublica conducted extensive research into the issue of kidney dialysis safety, publishing a series of articles detailing widespread problems among the nation’s dialysis providers. Reporters also created a database of facilities nationwide, posting periodic updates with the latest inspection reports on each facility, which is searchable by city or zip code. Every year, taxpayers shell out approximately $20 billion to help pay for patients who are on dialysis. That’s about $80,000 a year per patient, mostly through Medicaid. That is more than any other developed country in the world. And yet, the U.S. has one of the highest mortality rates for those in dialysis care. It’s true that some 400,000 people a year depend on this treatment to keep them alive, as many patients are gravely ill to start. But it’s precisely this latter fact that causes people not to bat an eye when it’s revealed that someone receiving the treatment has died. It’s sometimes chalked up to the pre-existing condition. But all too often, that’s not the case, and had the treatments been administered appropriately and according to the minimum standards of care, these deaths would have been prevented. Among some of the common findings by ProPublica’s year-long research, facilities were notoriously lacking in cleanliness. In some cases, there were instances of pests running rampant and blood splattered on walls, floors and seats. Many of these facilities may be “overseen” by a doctor, but they are run either by nurses or even LPNs or aides, some without any extensive medical training. 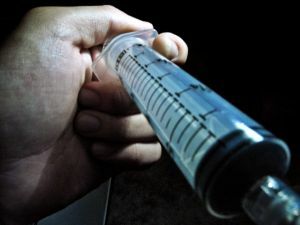 As a result, needles are routinely improperly injected. When this happens or when the needle comes out during the procedure, the patient is at risk of severe illness and death. Several facilities have been cited in recent years when patients were exposed to a host of dangerous infections while receiving treatment there. Among those infections: HIV, tuberculosis, staph and hepatitis. One center out of New York was closed when cross contamination resulted in three patients being infected with hepatitis C within just six months. Considering these individuals are already coping with a weak immune system, this kind of thing is truly unacceptable. But perhaps more disturbing is the fact that so many of these facilities with ongoing problems remain open. One of those, located in Tennessee, had been cited on numerous occasions for things like: inadequate care, dangerous conditions, improper dispensing of certain medications, subpar clinical results and higher-than-expected mortality rates. But it stayed open. Just nine days after an inspection noting those problems, a 66-year-old who came in for treatment was mistakenly given a dose of medication meant to dissolve clots. He died several hours after leaving the center – of a massive brain hemorrhage. It should not have happened, though the government oversight agency defended its lack of action against the facility by saying that it’s not in the business of shutting these firms down. In Boston, there are 10 major dialysis centers noted in the ProPublica database. A number of those appear to meet state standards. However, a few have mortality rates that are more than twice as high as both the state and national averages (47 percent compared to 22 and 20 percent, respectively). Hospitalization rates were an average of 15 percent higher than the national rate, and there were a number of major deficiencies, which are those characterized by widespread or serious problems with care. One facility was noted to have 33 standard deficiencies and four major deficiencies. Individuals who have suffered from negligent dialysis center care – or those who have watched helplessly as a loved one endured it – should contact our Boston personal injury lawyers today.